New Publications; Funding Opportunities, and more. 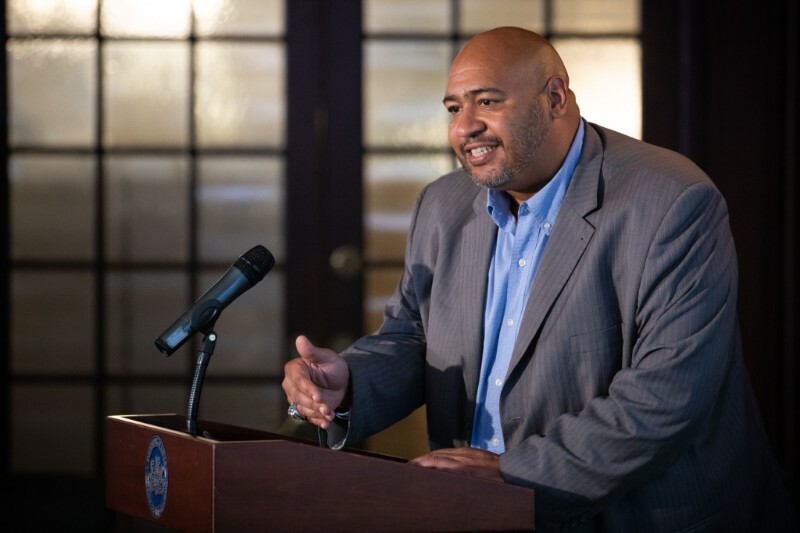 “This problem has been decades in the making, but it’s also solvable if we take a systems-wide approach,” said John Wetzel (pictured above), secretary of Pennsylvania's Department of Corrections and chair of the CSG Justice Center Board of Directors. “In order to get there, we need to understand approaches that work, create a roadmap for success, and track our progress. Achieving those goals is exactly what the Stepping Up Technical Assistance Center is designed to support, and I’m proud that Pennsylvania is the first to launch something like this.” Read more. The CSG Justice Center has released an updated version of the 50-State Report on Public Safety that includes 2017 crime and arrest data. 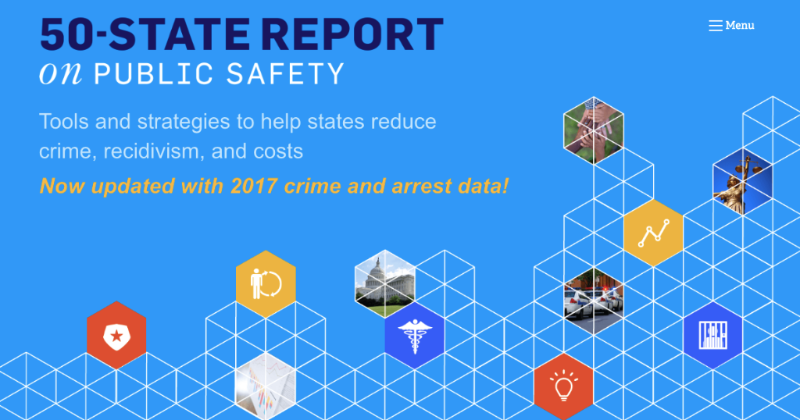 The report couples these data with the latest research on strategies that work to improve public safety in addition to offering more than 100 examples of public safety innovations drawn from every state in the country. With 3 core goals, 12 strategies, and 37 action items, the report provides a playbook that policymakers can customize to tackle the issues most relevant to their communities. Mental health calls are among the most complex calls for law enforcement officers to resolve when working in the field. 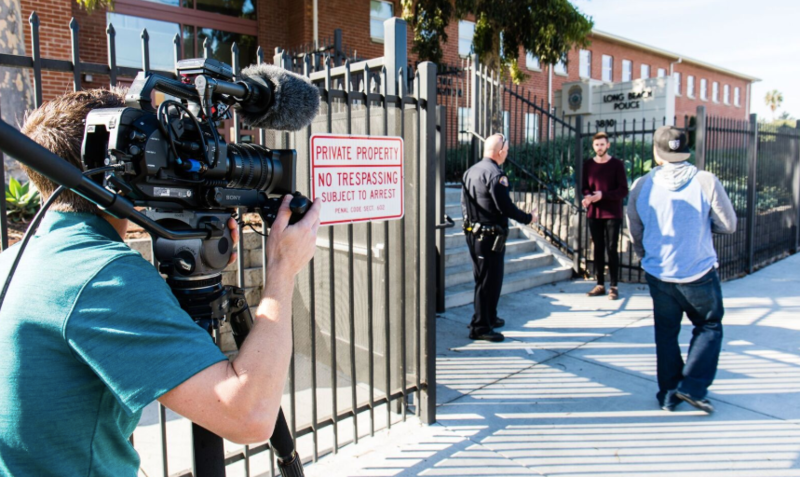 To address some of the challenges officers face when taking these calls, The Guidance Center—a nonprofit child and family mental health service provider offering comprehensive mental health care to children and families in four California communities—recently launched a new series of web-based training modules to provide officers with effective tools for readily recognizing signs of mental illness and interacting with people who may be in crisis. This project was supported by Grants No. 2016-MU-BX-K002 and 2016-MU-BX-K003 awarded by the Bureau of Justice Assistance. The Bureau of Justice Assistance is a component of the Department of Justice's Office of Justice Programs, which also includes the Bureau of Justice Statistics, the National Institute of Justice, the Office of Juvenile Justice and Delinquency Prevention, the Office for Victims of Crime, and the SMART Office. Points of view or opinions in this document are those of the author and do not necessarily represent the official position or policies of the U.S. Department of Justice.